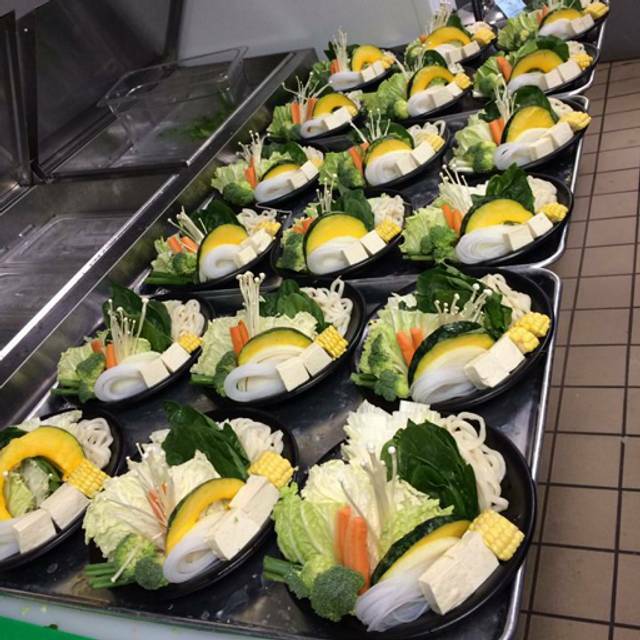 You must make reservations at least 5 minutes in advance of the time at Yoshi Shabu Shabu-Plano. Lots of open front parking. Amazing 12 person private dining. All tv features available for presentations or slideshows. 18 person chef table for big groups. 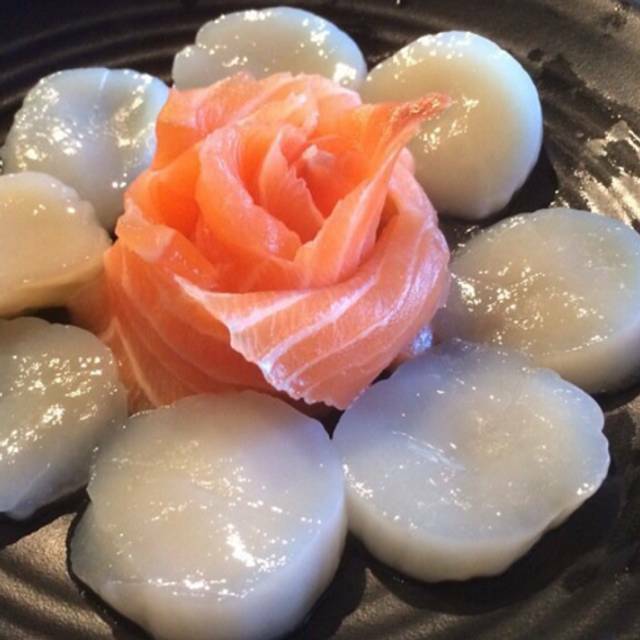 Yoshi Shabu Shabu Plano is our 2nd restaurant opening it’s doors in the Dallas / Fort Worth Area. 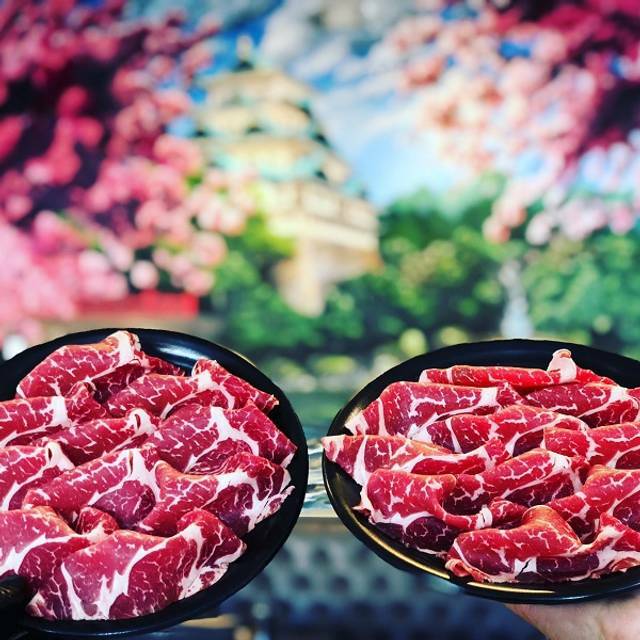 A traditional Japanese Shabu Shabu restaurant that serves only the highest quality meats that are paired with our 3 exceptional dipping sauces. Happy Hour all day Sunday, Monday, and Tuesday and Wednesday through Saturday 11:30-5PM, and Late Night 9PM-Close. Amazing food and drink specials. Yoshi represents wholesome natural food with integrity. We locally source all of our meats: grass fed beef, cage free chicken and Berkshire pork. All of our meats are farm raised and never given growth hormones or antibiotics. We will always serve you the freshest, natural and most delicious ingredients! Come enjoy amazing happy hour with us!!!!! $3 mimosas, $4 Sangrias, all apps. Come have fun and eat great food. Took my daughter and 3 friends to celebrate 14th Birthday. The service was awesome and food was great! Fun for the girls cook their own food and share a fun memory. Love this place! Delicious food, fun experience, great wait staff. We have eaten here several times and loved it. Previously everything was great. This last time the service was a mess. Wrong items brought out, timing of the broth addition (late) versus when the food was brought out, the bills were all mixed up. Will come back but hoping they fix this service issue. Delicious shabu shabu. Great service, Great booze prices. Great food, great value, great service!! I would highly recommend! We dined with a group of 11 for my daughter’s 11th birthday. Most of our group had never experienced Shabu Shabu before. The entire staff was so helpful and attentive and showed us just what to do. They also gave great recommendations on ordering. It was so much fun and my daughter loved her dinner! Had a great time and the staff was extremely attentive. We closed place down. Suggestion: update your online menu to show you have mixed drinks too. Thanks for having great champagne! Never had a bad experience. Only thing would be maybe less rice and more meat on the appetizer we had. The food is always fresh and delicious. One of my favorite restaurants. I was visiting from New Orleans and decided to try something new. I'm so glad I did. The food was fantastic and the service was equivalent. Awesome place for Vegetarians. First time and will go again. Had out of town guests and the loved this place too. Outstanding service, excellent food selections and reasonably priced. 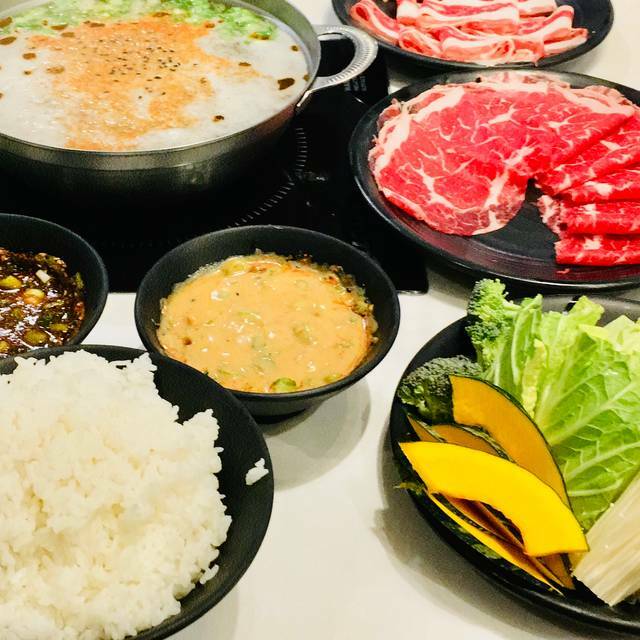 I really loved this place the first time my husband and I went, but we went here with a group of friends who haven't ever had Shabu Shabu before, and there were only two other groups seated, and yet the service was terrible! Even though we said it was most of our first times, no one bothered to explain things to us, no one gave us the sheets about "how to shabu shabu" like we got our first time, no one helped us, no one refilled our waters (or checked our hot pots water level/temperature - resulting in us all burning our mouths a lot and our pots literally burning - my noodle got ruined and were inedible). I didn't get the tea I ordered until the second time I asked, and no one asked any of us if we wanted refilled. Even getting our checks was a hassle, and I was told we'd get free birthday ice cream and that never happened either. I was so excited to share this cool restaurant with my friends on my birthday, and it was a total let down. Yoshi is a fun experience and the product is extremely fresh. Our server Sunny was great, and extremely knowledgeable of everything. We will definitely be returning! Best Shabu Shabu in town! Family hot pot dinners are great social way to enjoy eating. Everyone is so helpful and friendly, the food is always awesome, it comes out quickly, price is decent. I love this place. Love this place. Very authentic and tasty. 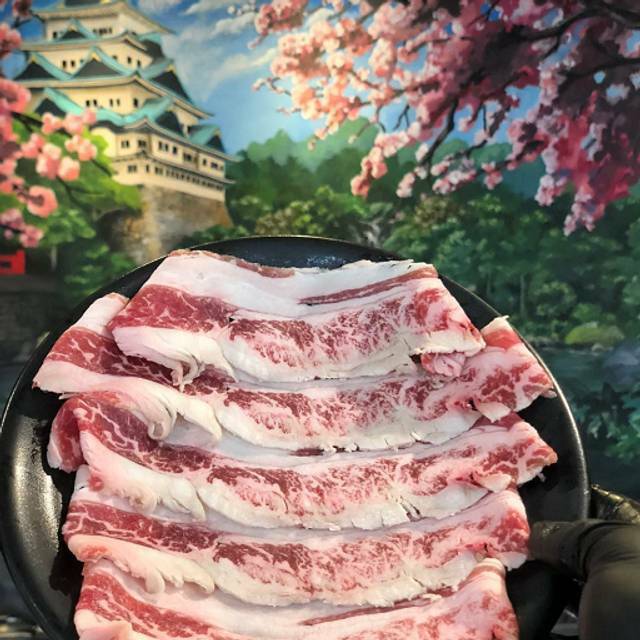 Try the wagyu beef; it’s like beef bacon! Understaffed. Crew was working really hard but I spent the better part of the meal trying to get the wait staffs attention because they were trying to serve too many customers with not enough people. 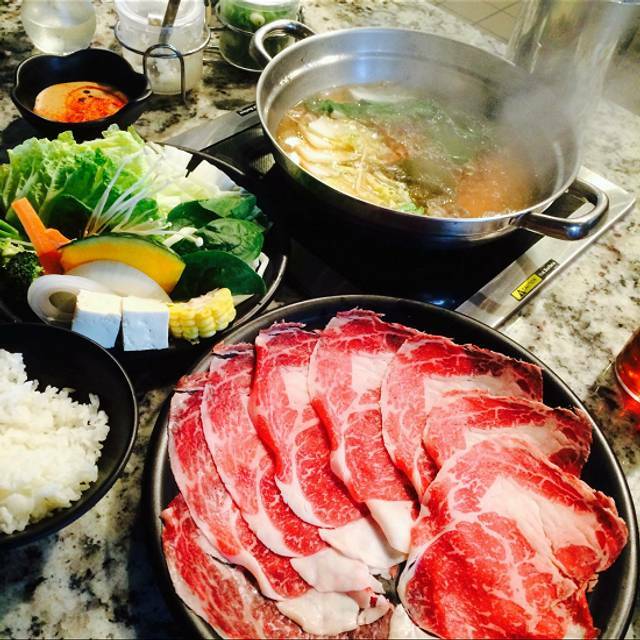 Yoshi Shabu Shabu is our favorite spot for lunch or dinner. Staff is amazing and they make us feel like family. The food is delicious and good quality meats. Our favorites our the beef wagu and salmon. If you haven’t been it is a must. Everything would have been 5 stars but our server was a bit busy, it was valentines day evening. The owner stopped by to check on us twice which was really nice. Overall we had a fun time. Different than your basic Asian restaurant and ,as has been expressed, the service is top notch. Everyone wants to help, they filled the tea and water glasses promptly and came by several times to make sure all was well. Will go back and bring friends next time. 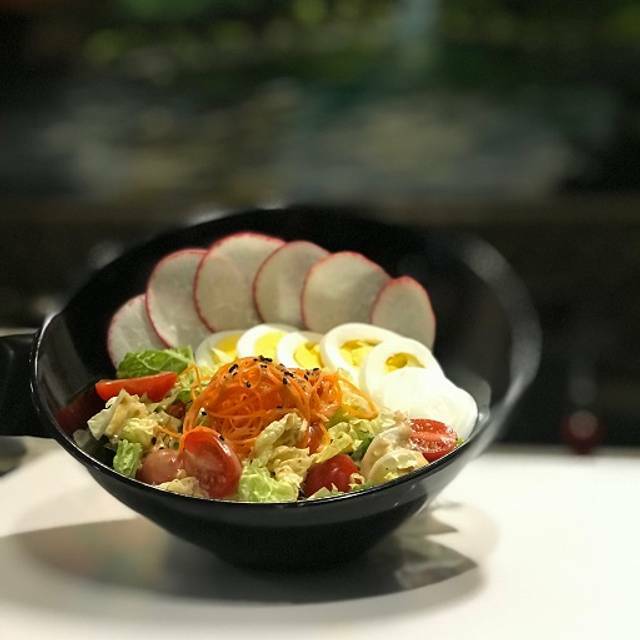 Yoshi Shabu Shabu is a fun and delicious dining experience! The atmosphere was inviting and not overly loud. The service was five star. The food quality was excellent. Shabu shabu is also fun! Would recommend for every day or special occasion! Great time was had by the whole party! Great service, did a good job explaining and demonstrating how to cook Shabu Shabu style and were very attentive the whole evening. It is pricy, roughly $130 per couple tip included, but well worth it and also included some desert. Much cheaper than in Tokyo! We had a party of 6, and they included gratuity, so make sure you look for that. Overall though a fun, delicious good time and highly recommended. 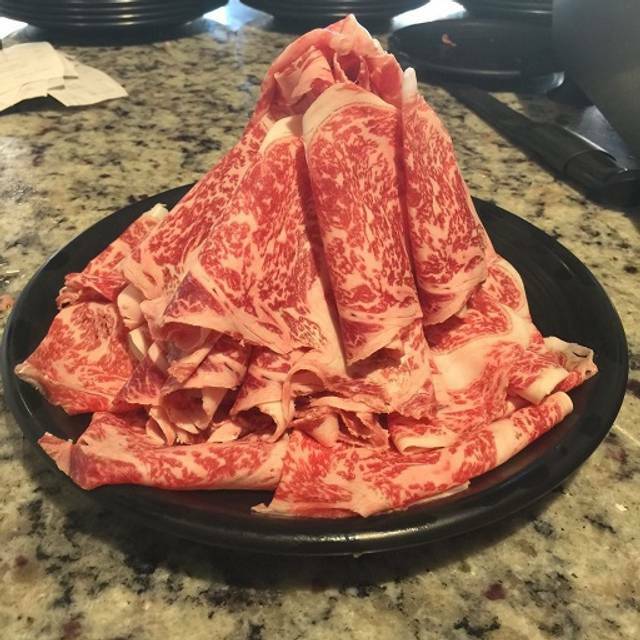 Best shabu shabu restaurant in North Texas. I’m so happy to have found this gem. I went for dinner a few weeks ago that I took two coworkers there for a birthday celebration. If you haven't been there you need to try it! I had gone to a hot pot before in Stillwater, OK and was having a hard time finding one in DFW. My friend suggested it and I wanted to take my boyfriend for our two year anniversary. We both love asian food and he had never done it before. He loved it and it was delicious! It was a great meal, we got the donkey kong size and it was perfect for both of us. I would have enjoyed a lot more noodles, maybe have the option of unlimited noodles OR rice instead of just unlimited rice. Overall it was a great experience and a fun place to go to to expose people to new things. This is a Korean hot-pot experience you should try. And it's vegan-friendly, too. Very slow and over priced for food quantity. I LOVE Shabu Shabu! Yoshi has a really great bar with two levels. You have an option of a few different bases, but simply going with the plain is my favorite. You are given 3 different sauces-ponzu, teriyaki, and peanut. I always have them dress the sauces for me with garlic, green onions, and an oil with an orange tint. Their happy hour appetizers are a good deal, but I never get them because I focus on the meat. You're given mushrooms, carrots, spinach, cabbage, broccoli, onions and another veggie I can't remember. I always ask for just spinach and broccoli because I'm fairly picky. I love all the kinds of beef they have, but have also ordered the chicken. My husband likes to order the seafood with salmon and mussels. 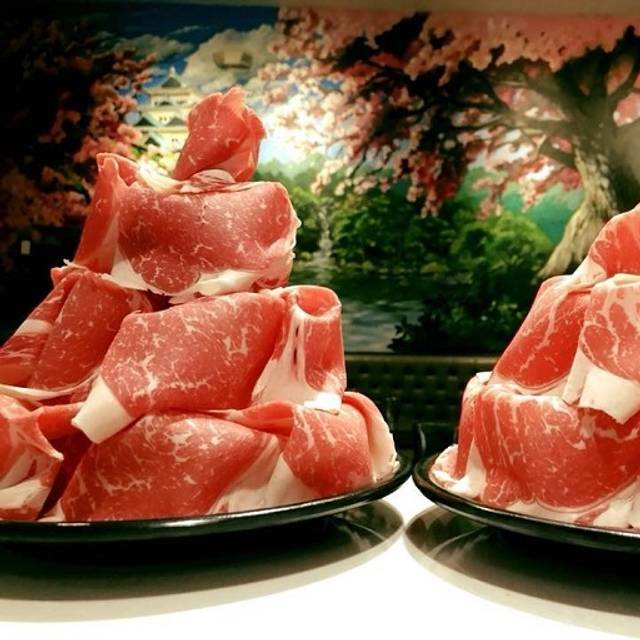 The meats are sliced really thin, so don't be bashful about ordering a large order. You're given rice, and I've been given rice refills without them charging me. The broth afterwards is turned into a soup. I've never been able to eat the soup in the restaurant because I'm always so full by then. You have a couple choices of the noodles, but I don't know the difference or which one I get. The staff helps you to make the soup and transfer it to a bowl or take out container. They have a small bar at the front with liquor, wine and beer. They make their watermelon saki and it was an absolute steal! Between 3 of us, we were unable to finish it, but it was so good. I've liked the staff here, but do feel that the owners opening a new location has changed things a bit. The staff is good, but it feels a little less since the owners are never there anymore. I follow them on FB for deals, but most of them seem to apply to their Plano location. It's a nice atmosphere to eat, but it can get a bit noisy if you're wanting to have a romantic or intimate date. They have tables, but often you have to share a pot with another member of your party if you sit there. I always want to sit at the bar to see them slice the meat and I prefer my own pot. This meal was amazing! Food was excellent and fun. The service was very friendly and courteous. Restaurant called to cancel because they were closing earlier. We absolutely LOVE this place! Super attentive staff, and the best Asian food I’ve had since I was actually IN Asia! Can’t wait to go back. Fun night out for our 16 year old’s birthday. Everything was perfect. Fantastic, authentic, Japanese cuisine. Of course it only cost one quarter what it would in Japan with the same quality. Food was great and so was the service. They were very helpful given we had never been to a shabu shabu place. We’ll be back! Shabu Shabu may be a fun dining experience for most people. We, being the native Japanese, found this place to be disappointing. Hot water should be used to refill the "dashi" broth of the hot pit. Every time the hot pot was refilled with water, the temperature of the pot went down and we had to wait for he dashi to get hot enough to add more food. Menu is confusing and the waiter did a poor job clarifying our questions. Eventually I figured it oout and ordered for everyone.